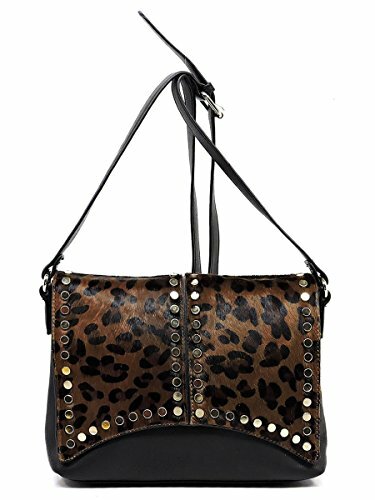 Made of High Quality Faux Vegan Leather (PU leather) & Gold-tone hardware. Top Flap with Magnetic snap & zip top closure. Interior lining with multifunctional slip pockets and a back wall zip pocket. L 11.5" * H 8.5" * W 3.5"